In today’s fast-paced world, it’s refreshing to know that every TJ Hale product solution includes a rare benefit: Absolute Confidence. Our expertise and meticulous attention to detail mean you spend less time worrying about fixture fulfillment and more time focusing on your core workload. We are a dependable, single-source solution for all your fixture needs. With old-world craftsmanship backed by next-generation technology and 360-degree communication, we offer proactive project management and smooth, reliable results. High-end, customized perimeter fixtures. Superior craftsmanship with details such as LED lighting, inset panels, and burled walnut faces -TJ Hale’s products are exactly what you are looking for. 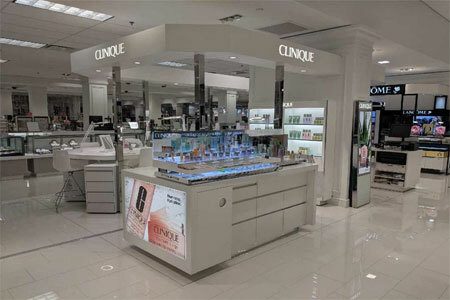 Our perimeter fixtures can be made to showcase your product in a unique, eye-catching way. We also offer modular wardrobe systems for clients who specialize in apparel and wish to display collections in an interesting fashion. Our staff is ready to help you design exactly what your store deserves. From tables to podiums, nesting tables to racks, TJ Hale’s selection of customized loose fixtures will bring new life to your store or boutique. We offer a wealth of different finishes, including solid wood, veneer, stainless steel, mirror plating, solid brass, solid copper, and even powder-coated metals to match your company’s colors. It doesn’t matter what industry you are catering to or what you are selling, our talented staff can help you design a look for your location that you will love. Displaying your product should be eye-catching and draw the customer in. Custom-designed caselines from TJ Hale will help you achieve that goal. We offer a variety of products to meet your needs, whether you need to display jewelry, cosmetics, sports equipment, or anything in between. Choose from a variety of finishes that will show your personal style and coordinate with your company’s aesthetic. From casual to upscale, we can help you design a great looking caseline for your business. At TJ Hale, we know that cashwraps and backwraps are an extremely important part of your store. You want your customers to have a pleasant experience when checking out, and our custom designs can contribute to that. 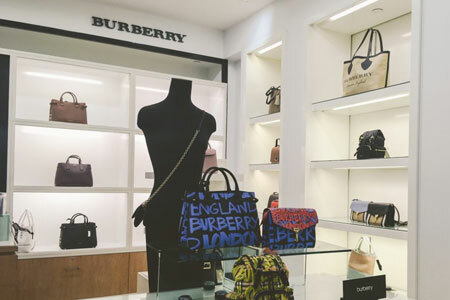 We offer designs that can integrate security detachers and safes, as well as special lighting to call attention to detail—for example, your store’s name or point of sale items. No matter what you’re looking for in a cashwrap or backwrap fixture, our knowledgeable staff can help you find exactly what you are searching for. Making a statement on the outside is the obvious first step. 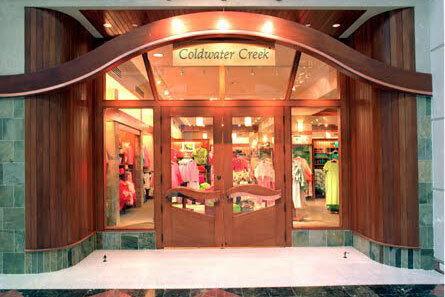 Our customized store fronts will draw attention to your store. 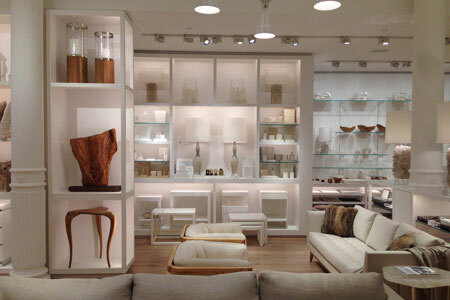 We use the same materials for store fronts as the materials used for the interior. This helps you create and present a cohesive look to your patrons. Make customers stop and stare when they pass your location. No matter what your business, TJ Hale employees will be happy to help you design something truly eye-catching. Fitting rooms are one of our most popular items here at TJ Hale. Since trying on your product is a pivotal moment for your shoppers, it’s important to offer enough space to do so. 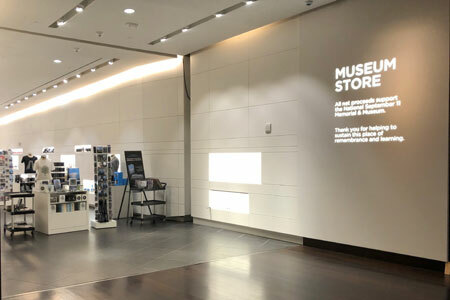 We offer modular fitting room fixtures which are especially convenient in the event of a store’s layout being redesigned. These fixtures are portable and can be rearranged easily. Our staff will help you find exactly what you need to make your store look perfect. 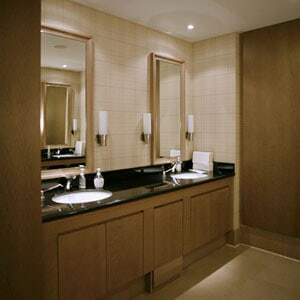 In order to have a truly cohesive store experience, the rest rooms should compliment the overall store design. TJ Hale currently provides vanities and counter tops to help with just that. 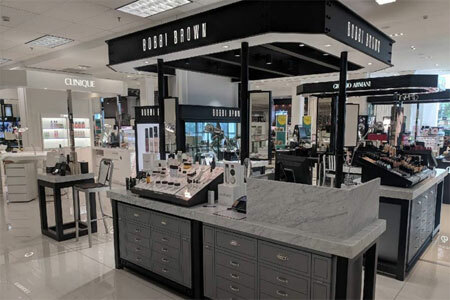 Our rest room packages help complete the look you are trying to achieve, while offering customers an added convenience within your store, resulting in customer retention. 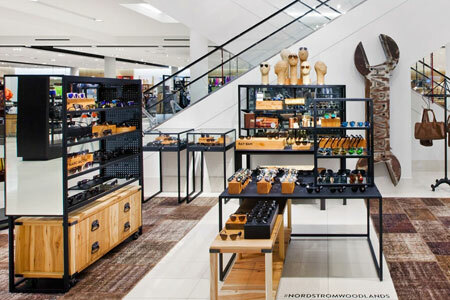 Whatever your store needs, we can help you design it. Storing back-stock, organizing mail orders, or offering employees a break room are all part of back of house fixture packages. At TJ Hale, we’ll work with you to help design exactly what you need for the back of house portion of your store. Our materials for back of house fixtures are available in the same materials as the rest of our designs. If you’re looking to finish the design of your store, back of house equipment is what you’re looking for. You have only one chance to make a great first impression. Your lobby or atrium is the first thing your customers or visitors see, and your first opportunity at brand influence. 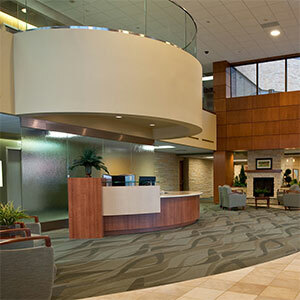 At TJ Hale, we understand that the careful design of this area has a huge impact with customer perception. Our expertise in designing solutions for your lobby or atrium ensures an excellent first impression and makes you look good. 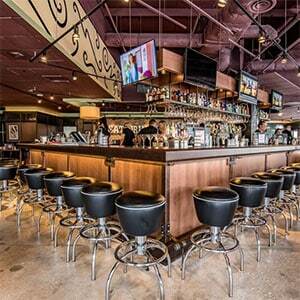 TJ Hale works with you to create the best solution for your bar or service counter within your design guidelines. Our refined cabinetmakers and experienced metal team has the necessary experience with a vast array of materials such as wood, metal, acrylic, and stone. Let’s turn your vision into reality and create a space where your customers enjoy spending their time. Transaction and Point of Sale counters are an extremely important part of your store and should not be treated as an afterthought. You want your customers to have a pleasant experience when checking out and conclude their visit on a high note. 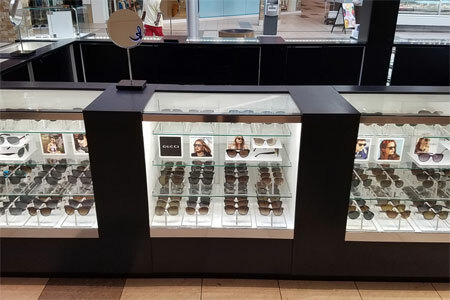 We offer custom designs that can integrate security detachers and safes, as well as special lighting to call attention to detail—for example, your store’s name or special product offerings. No matter what you’re looking for in a transaction or Point of Sale counter fixture, our forward-thinking team can help you create it. Feature walls and donor walls are a fantastic way to bring attention to a memorial, cause or celebration. 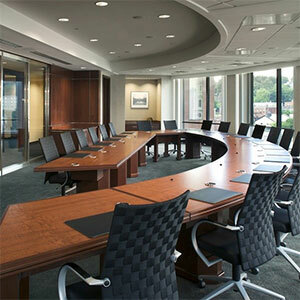 The quality of our work ensures that whatever your subject, the solution will honor it appropriately. TJ Hale has completed numerous projects of this kind, including the National September 11 Memorial & Museum in New York City. We are honored to have been chosen to work on such a magnificent tribute to those who gave their life at the World Trade Center. The same dedication and attention to detail will go into your design and application. Reception offices and reception areas represent your business and give your customers or visitors a first measure of the quality of your services. These are the places where clients gather before a big sales meeting. They are the spaces where children are asked to wait, and where they need to be acknowledged or entertained. They are the reception areas for clinics and doctor offices where a warm and inviting design help ease the a patient’s nervousness. TJ Hale works with you to create the space you are looking for, a space that captures your interest in the comfort and well-being of your clients. 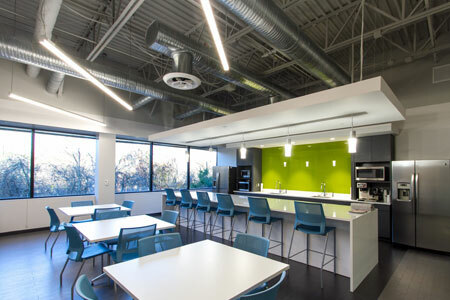 Office design requires proficiency learned through many different areas of design work. TJ Hale’s cross-industry expertise and cross-functional experience in retail, reception, lobbies, atrium, and other interior spaces is essential in bringing together the different aspects of office space design. The office environments we create convey your brand and create the ambiance you desire, from excitement to calm to focus. Our business in making you look good!